Simferopol (AFP) - Russian President Vladimir Putin flew into Crimea on Monday to celebrate the fifth anniversary of Moscow's annexation of the strategic peninsula from Ukraine which was condemned by the West but remains popular among Russians. Russian flags flew in the main city of Simferopol while posters celebrating Crimea's "return to its native land" hung in shop windows and on public transport. 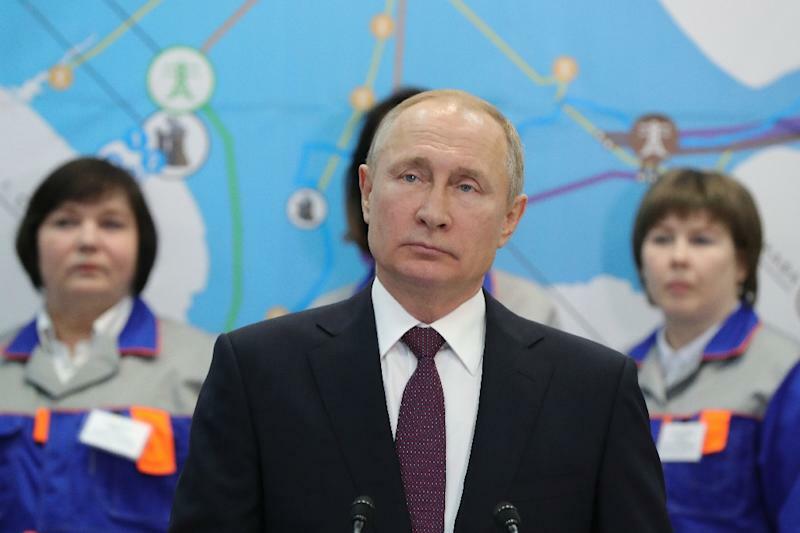 Putin used the visit to officially open two new power stations on the Black Sea peninsula, which was almost wholly dependent on electricity from Ukraine before the annexation. Moscow took over Crimea in March 2014 after months of tensions with Kiev following the ouster of a pro-Russian leader. The move resulted in a major boost to Putin's popularity. But the takeover was denounced by Kiev and the West as an annexation and, along with Moscow's support for separatist forces in Ukraine's east, has prompted wide-ranging sanctions against Russia. "March 18 is a remarkable day for Sevastopol, for Crimea and for the whole country," Putin said. He said the plants' opening in the port city Sevastopol represented "another important step to strengthen the energy security of Crimea". 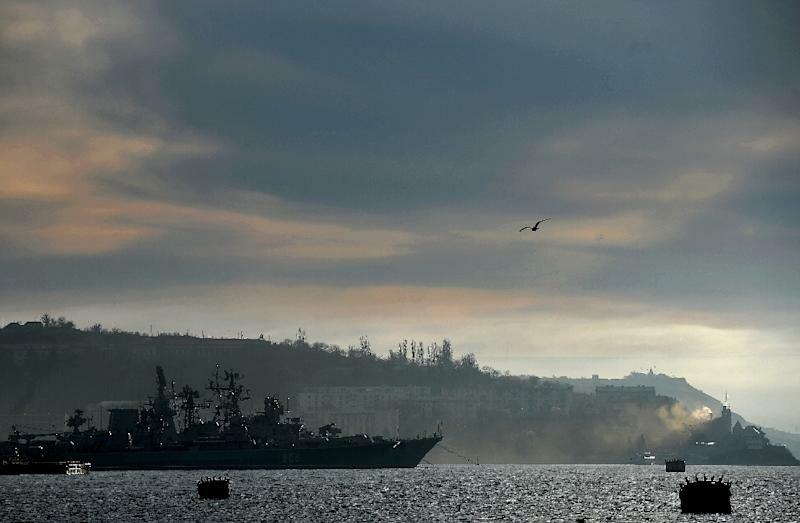 Kiev stopped supplying energy to Crimea in late 2015, leaving the peninsula reliant on an underwater cable running from Russia and facing frequent supply problems. The plants were at the centre of a scandal last year, after the US sanctioned Russian officials who supplied them with turbines built by German engineering giant Siemens -- a violation of European Union sanctions against Moscow. On Monday evening Putin appeared on stage at an open-air concert in Simferopol, after a smaller meeting with selected representatives of civil society. Activists have accused Russia of cracking down on civil society since the takeover. The Crimean Tatars, a Muslim-majority community that is largely opposed to the annexation, have faced pressure from Russian authorities. 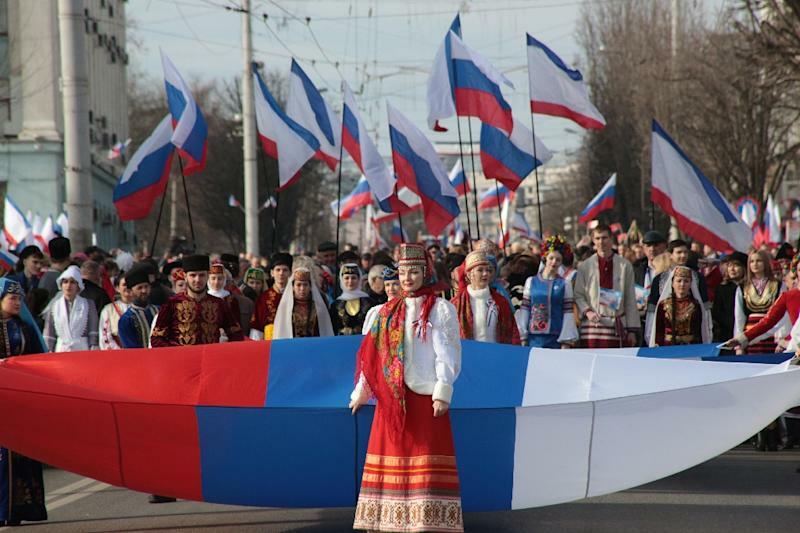 In Russia, March 18 has been proclaimed the "Day of Crimea's Reunification with Russia" and celebrated with events across the country. In Crimea, it is a public holiday. "There is a feeling of newness, of independence, of freedom," retired teacher Valentina Dorozhko told AFP. She said she felt "reborn" when Russia took over. But Oleg Ivanov, a man in his 40s, called for Putin to change course. "If we have sanctions imposed on us, then you need to sit down, negotiate and change something," he told AFP. "And if there's no progress, then it's time for someone else to have a go." Putin signed an agreement on March 18, 2014, with local representatives to make Crimea part of Russia, two days after a referendum condemned by Kiev and the West as illegal. Pro-Kremlin media on Monday carried reports of improvements on the peninsula under Russian rule. But the liberal press painted a more sombre picture, saying the takeover had made Russians poorer and more isolated from the world. The annexation prompted euphoria and a wave of patriotism in Russia but five years later Crimea has "stopped being a source of political benefit" for authorities, liberal newspaper Novaya Gazeta said. According to a survey published by the Centre for Public Opinion (FOM) in early March, only 39 percent of Russians believe the annexation brought Russia more good than harm. In 2014, that figure was 67 percent. Last week, the US, Canada and the European Union slapped new sanctions on more than a dozen Russian officials and businesses in response to what they called Moscow's "continued aggression in Ukraine". Ukrainian President Petro Poroshenko, who is facing a difficult election this month, vowed on Monday that Crimea would return to Ukraine if he was re-elected. NATO on Monday meanwhile condemned Russia's "ongoing and wide-ranging military build-up" on the peninsula. The US-led military alliance warned there would be no return to "business as usual" with Moscow until there was "a clear, constructive change in Russia's actions".